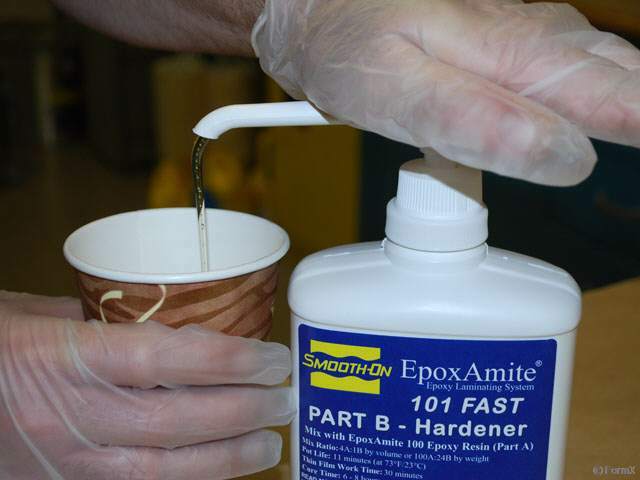 EpoxAmite ® 103 SLOW Trial Size MIX RATIO: 3:1 by volume or 100:28.4 by weight; POT LIFE: 55 mins; CURE TIME 20-24 hours; SHORE D:80; COLOR: clear Yellow Net Weight : 2.57 Lbs. EpoxAmite ® 103 SLOW Gallon Unit MIX RATIO: 3:1 by volume or 100:28.4 by weight; POT LIFE: 55 mins; CURE TIME 20-24 hours; SHORE D:80; COLOR: clear Yellow Net Weight : 10.3 Lbs. 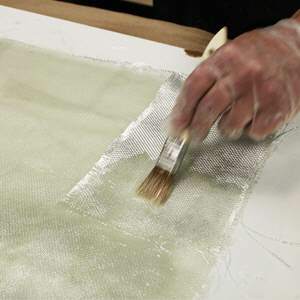 EpoxAmite ® 102 MEDIUM Trial Size MIX RATIO: 3:1 by volume or 100:29 by weight; POT LIFE: 22 mins; CURE TIME 10-15 hours; SHORE D: 80; COLOR: clear Yellow Net Weight : 2.6 Lbs. EpoxAmite ® 102 MEDIUM Gallon Unit MIX RATIO: 3:1 by volume or 100:29 by weight; POT LIFE: 22 mins; CURE TIME 10-15 hours; SHORE D: 80; COLOR: clear Yellow Net Weight : 10.3 Lbs.